You are here: Home>Events>The Inner Relief Road Construction>Aerial Photos of Salisbury "Before the Bridge". 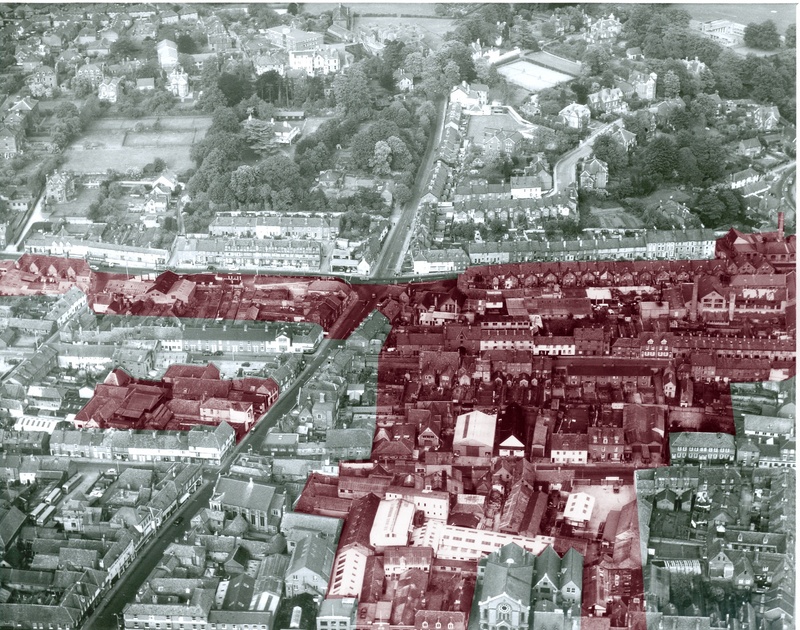 This photo from 1970 shows the layout of part of Salisbury before the construction of the Inner Relief Road. The shaded area in the second photo shows the buildings that were destroyed for the construction of the new road, as well as the notorious “road to nowhere”. 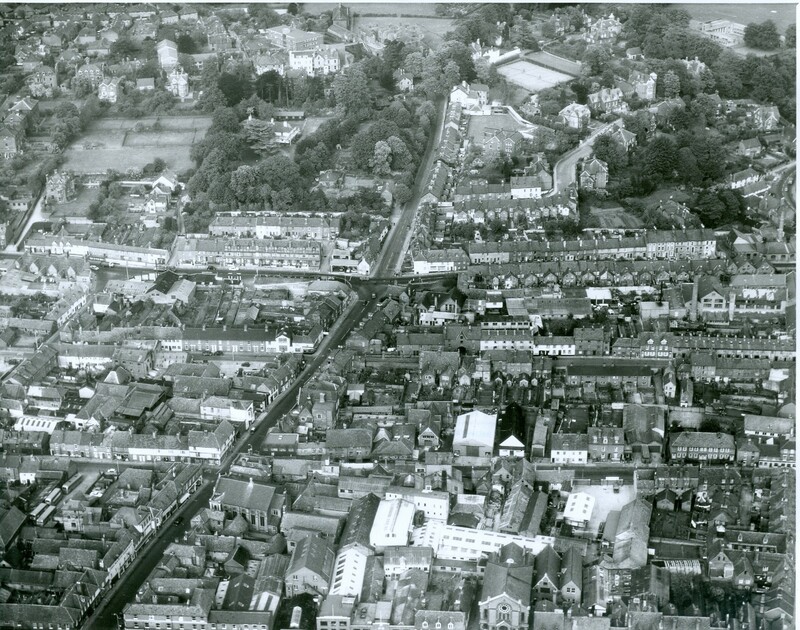 This was intended to go straight into the centre of town but remained half finished for many years. It is now the site of Culver Street car stack. When the photo was taken many of the properties had already been emptied ready for demolition.